Edward A. 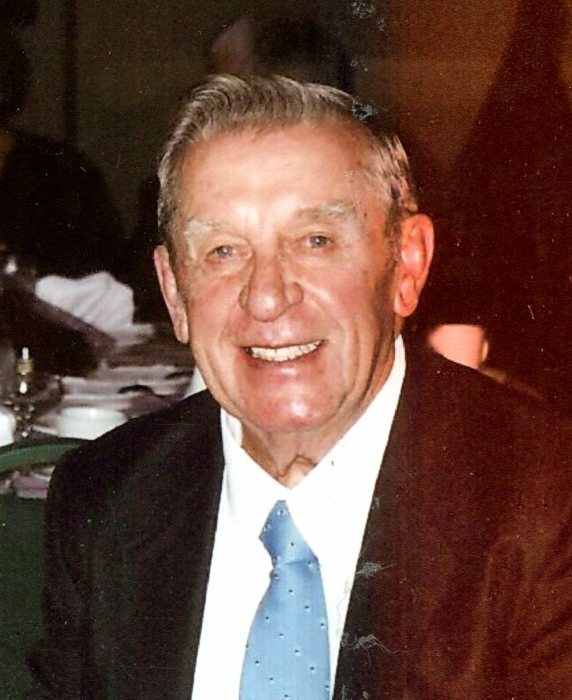 “Ed” Klancher, 91, Hibbing, passed away Sunday, April 8, 2018 in the Guardian Angels Health Care and Rehabilitation Center in Hibbing, under the compassionate care of Fairview Range Hospice and loving family members. Ed was born in Ely, MN on March 21, 1927 to Anton and Frances (Urbas) Klancher. 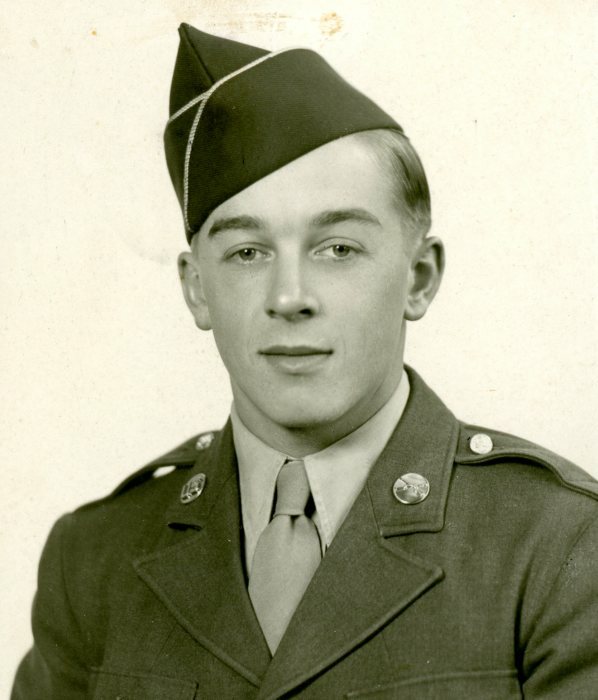 He was a 1945 graduate of Ely Memorial High School, served in the US Army and graduated from St. Cloud Teacher’s College in 1953. He taught in Hibbing, first at Washington school in North Hibbing and then at the Greenhaven school. While teaching he was also the sporting goods manager for Gibson’s, Shopko and then Pamida. He retired from teaching in 1992. He was a member of the Blessed Sacrament Catholic Church. Ed loved taking walks, spending time with his friends at JR’s Barber Shop, fishing and camping in his RV with his grandchildren and their friends and travelling throughout the U.S. with his wife. A memorable trip was when they revisited Ft. Leonard Wood, MO, where they had been married on Jan. 27, 1951. He also enjoyed attending his grandchildren’s sporting events. Ed was preceded in death by his wife Miriam, his parents, his stepfather Frank Mustar, brothers: Anthony Klancher, and John Klancher, and sisters: Frances Kangas, Mary Morse and Patricia Gondreau. He will be reunited with those family members and many friends who he has dearly missed over the years. He is survived by 3 daughters: Valerie Nicolls of Sarasota, FL, Melanie (Myrick) Gates of Chisholm, MN and Carol (Mark) Roberts of Hibbing. 6 grandchildren: Shawn (Hope) Gates, of Sauk Rapids, MN, Aaron (Angela) Gates and Jesse Gates both of Chisholm, Jamie (Jody) Roberts and Chris (Stacy) Roberts both of Duluth, MN and Rev. Ashley Nicolls of Sarasota, 11 great grandchildren: Brandon, Kailani, Tristin, Christian, Cecilia, Nicolas, Jonah, Marcus, Courtney, Jaidy and Jake and a great grandchild #12 due to arrive in October, his brother Frank (Shirley) Mustar of Cohasset, MN and several nieces and nephews. Ed’s family would like to thank all those who cared for him, especially Dr. Scott Stenstrom, Dr. Hoffman of Duluth and hospice nurses Marcia and Ann, the staff of the ICU and Acute Care units of the Fairview Range Medical Center and the entire staff from Guardian Angels. Your compassionate care for us will always be remembered. A funeral service celebrating Ed’s life will be held on Friday, April 20 at 1: 00 p.m. in the Dougherty Funeral Home, Hibbing. Visitation will be from Noon until service time in the funeral home. Interment with military honors accorded by the Mid-Range Honor Guard will be in the Maple Hill Cemetery. In lieu of flowers memorials are preferred to the donor’s choice.